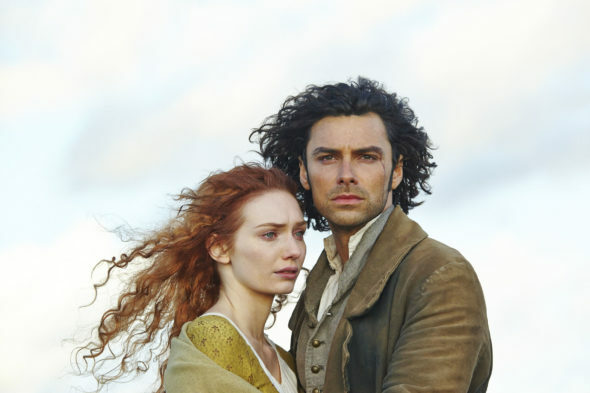 “I make no apologies for my actions.” PBS has released a new trailer for season two of Poldark. Based on the novels by Winston Graham, the historical drama follows Ross Poldark (Aidan Turner), a British soldier who returns to his English home after fighting in the American Revolution. The cast also includes Eleanor Tomlinson, Ruby Bentall, Beatie Edney, and Jack Farthing. Season two of Poldark premieres on September 25th. What do you think? Do you watch Poldark? Are you excited for the new season? I spent my entire Christmas Day 2015 preparing my holiday meal and watching all the Poldark episodes back to back without interruption. It was a very enjoyable Christmas Day since I had no family around. PBS became my family. I watched season One and loved it. ‘such an interesting period piece, great acting, intriguing story line. I’ve been waiting all summer for the announcement. I cannot wait for Poldark again! It is one of the best series ever to air on TV and is right up there with Downton Abbey. Excellent production in acting, scenery, and adventure.